New Zealand's economy is one of the market economies of the world dominated by international trade. Service sectors that comprises 63% of GDP, manufacturing sector that comprises 16.5% of GDP and primary sector that comprises 6.5% of GDP. New Zealand has a GDP of NZ$231 billion, a growth rate of 3.5%, per capita nominal GDP of $40,600 and unemployment rate of 5.4% as of 2014. New Zealand Exchange also known as NZX is the major capital market of New Zealand. The currency of New Zealand is called New Zealand Dollar, which is also the currency of five Pacific Island territories. The New Zealand Dollar is the 10th most traded currency in the world. Since the early 70s New Zealand had a persistant Current Account Deficit that stood -2.6% in 2014. Despite the Current Account Deficit, New Zealand had public debt of 38.4% of GDP in 2013. The Reserve Bank of New Zealand, which was established in 1 August 1934, is the authority to design and implement the monetary policy of New Zealand. New Zealand's export sectors is dominated by the primary products. It exports Concentrated Milk (15%), Sheep and Goat Meat (5.7%), Butter (4.4%),Rough Wood (3.9%), and Frozen Bovine Meat (3.8%). The top five export destinations of New Zealand are Australia (19%), China (15%), United States (9.0%), Japan (7.6%), and United Kingdom (3.3%). New Zealand imports Crude Petroleum (11%), Cars (7.2%), Refined Petroleum (5.2%),Computers (3.1%), and Delivery Trucks (1.9%). Top five import origins of New Zealand are China (17%), Australia (16%), United States (9.0%), Japan (6.5%), and Singapore (4.7%). Reserve Bank of New Zealand maintained higher interest rate than many other central banks in the world.For the fundamental analysis of New Zealand dollar, both monetary policy and international trades are obligatory. New Zealand's economy has significant relationship with Australia's Economy because of the trade integration between two nations. 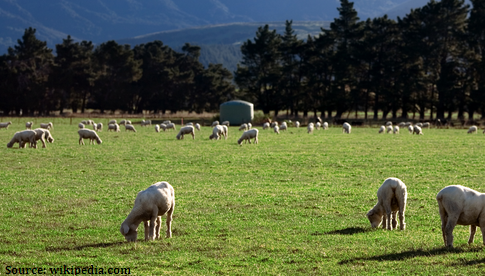 This is a short post on the overview of New Zealand's economy. A forex trader need not be a master of Economics. An overview of any economy is needed to be studied which helps the traders to understand the effect of any economic and political events. If you have any question, you can drop a comment below.